iX Cameras has recently received the Innovation 50 Award from Essex Innovation Programme and Anglia Ruskin University. The award is presented to the 50 brightest, fastest and most innovative companies in Essex County, UK. These firms were chosen from thousands of applicants from a wide cross section of industries and sectors. The selection process included a preliminary interview, plant tour, and a demonstration of the i-SPEED 7 high-speed camera. 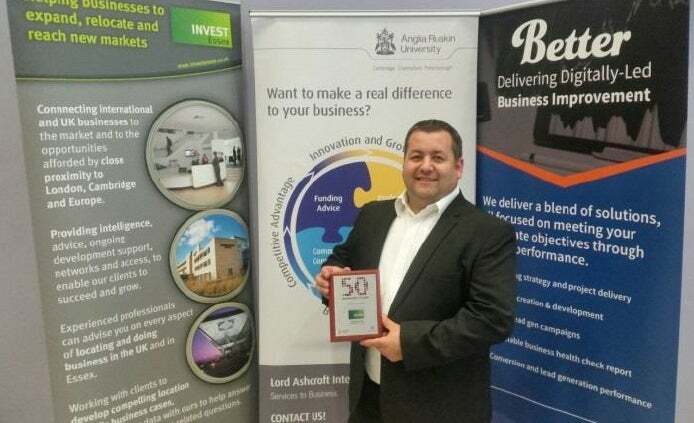 Innovation 50 is a joint initiative between Essex County Council’s Essex Innovative Programme (EIP) and Anglia Ruskin University, aimed at identifying important characteristics and strategies for the 50 SME businesses in Essex. The winners are chosen following a review of revenue, number of employees and share of marketplace. iX Cameras director of business development Jonathan Hatton added: "This award represents all the hard work and effort our entire staff has dedicated in making iX Cameras an innovative company poised for future growth."